A Garden Party is a social event held outdoors in a garden or lawn usually during the day or afternoon. When attending a Garden Party, it's very important to dress the part and to abide by the dress code. Garden Parties can range from casual or formal. The most common (and I feel most appropriate) way to dress for the occasion is by wearing a stunning dress that has a light and airy feel. I also like pairing sandals instead of heels with my dresses to Garden Parties as heels can sink into the ground! 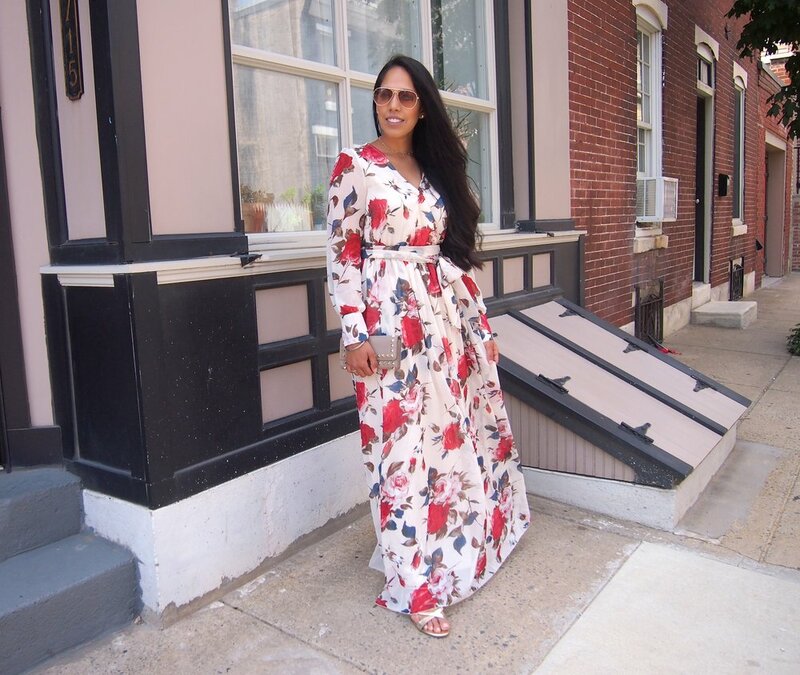 This stunning floral maxi dress from SheIn is the PERFECT dress for a Garden Party or any occasion where you have to get dressed up! The dress is so lightweight and flowy. The floral pattern is also stunning and I honestly felt soo pretty in this dress. I linked a few other Garden Party appropriate maxi dresses below!